Special Containment Procedures: SCP-3707 is kept at Site-81's anomalous motor pool and maintained as necessary to ensure drivability. Description: SCP-3707 is a 2002 Toyota Camry with Minnesota plates. 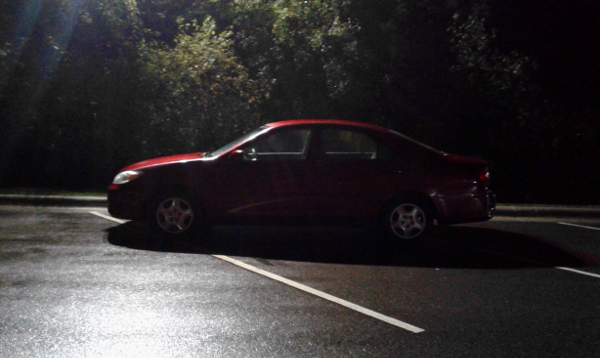 Anomalous properties manifest when occupied by exactly one human, who is driving it between 12 AM and 3 AM local time. Subjects report a mild compulsion to drive SCP-3707 away from their place of residence, with no ultimate destination in mind. Should this compulsion be followed for at least one hour, SCP-3707 and its occupant will disappear when unobserved. SCP-3707 will be found abandoned near a roadway at least 805 kilometers away from the disappearance point. No subject has ever been recovered. All tested individuals (including family, coworkers, etc.) are indifferent to the subject's disappearance, experiencing no distress and often failing to alert relevant authorities. Individuals affected this way will report that they "respect [the subject's] decision", though they are unable or unwilling to elaborate further. Within one week, the subject's roles in groups, organizations and interpersonal relationships will be filled with other individuals, with no decrease in overall functionality or wellbeing. This occurs through apparently mundane processes. After three months, individuals will not think about the subject unless prompted. Occasionally, SCP-3707 will disappear from containment. In each case, a different vehicle with the same anomalous properties will be recovered within one week. This has occurred four times.